Widespread drought in eastern Africa has withered the grass and other vegetation of northern Tanzania’s famous Serengeti Plain in January 2006. The region’s “short rains” season should have begun around October (2005), but by mid-January, had failed to arrive. According to some news reports, the severe drought created great stress among the Serengeti’s migrating wildlife, including wildebeest and zebras, as well as less nomadic animals such as giraffes. 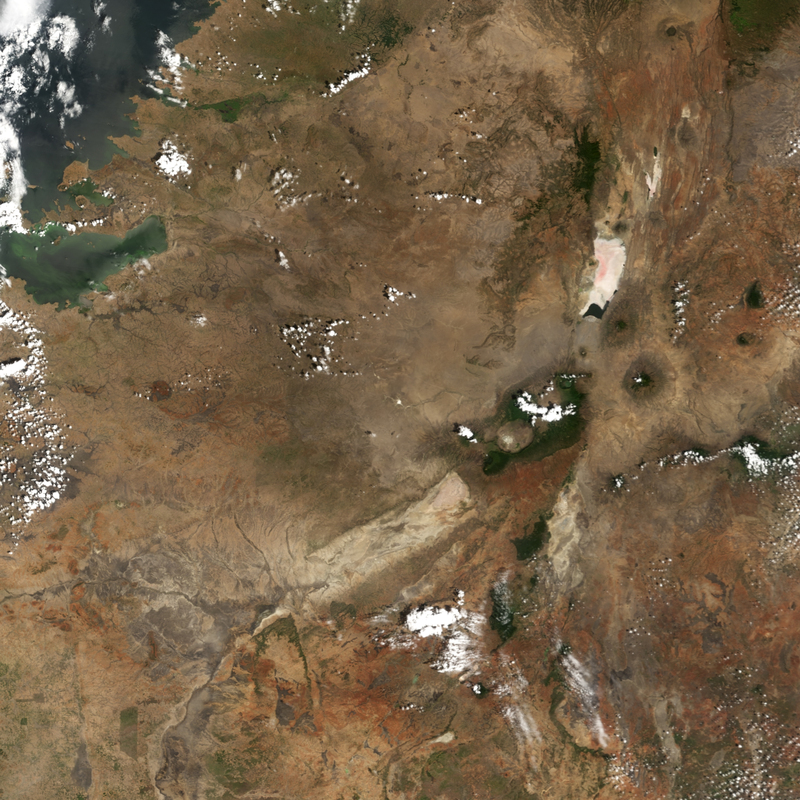 This pair of images from the Moderate Resolution Imaging Spectroradiometer (MODIS) on NASA’s Terra satellite shows the parched, brown landscape on January 9, 2006 (top), compared to January 12, 2005 (bottom). The region appears desert-like in 2006 compared to the green vegetation which blanketed the area in 2005. 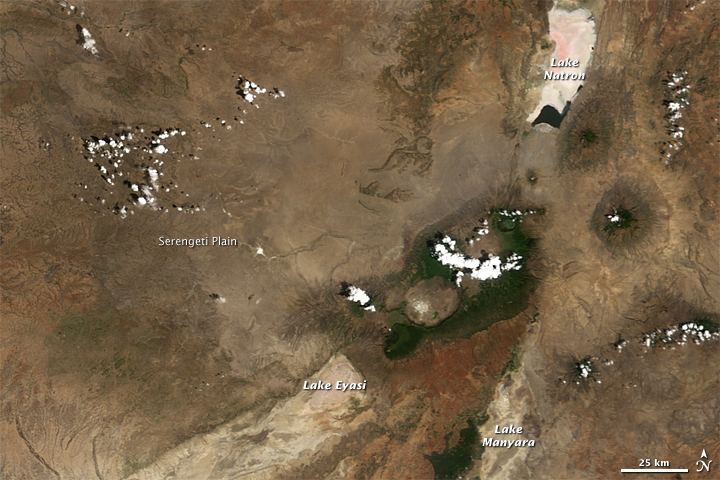 Lakes Eyasi and Manyara (lower right) appear to be completely dry. The conditions shown in this image have been developing over several seasons. 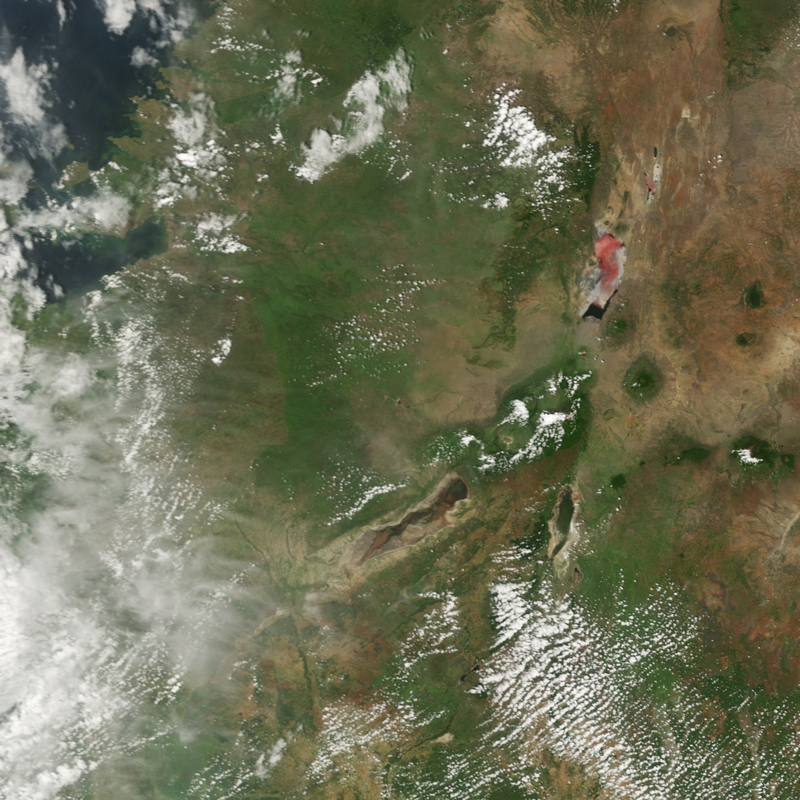 In eastern Africa, most areas experience one of two rainfall patterns. Some places have a single “long rains” season that runs from March until November or December. Other areas have two rainy seasons: long rains between March/April and July/August, and “short rains” from October to December or January. In 2005, the long rains were far below normal, and the short rains failed altogether. As a result, rainfall totals for the year were only 20-60 percent of normal, depending on the region, reported the Famine Early Warning Network (FEWS NET). “This drought has resulted in crop failures, pasture degradation, water shortages and has raised serious food security concerns for the region,” FEWS NET warned. The drop of water levels in regional water levels also impacted the region’s energy supply, which depends largely on hydroelectric power, said news reports. Widespread drought in eastern Africa has withered the grass and other vegetation of northern Tanzania's famous Serengeti Plain in January 2006. 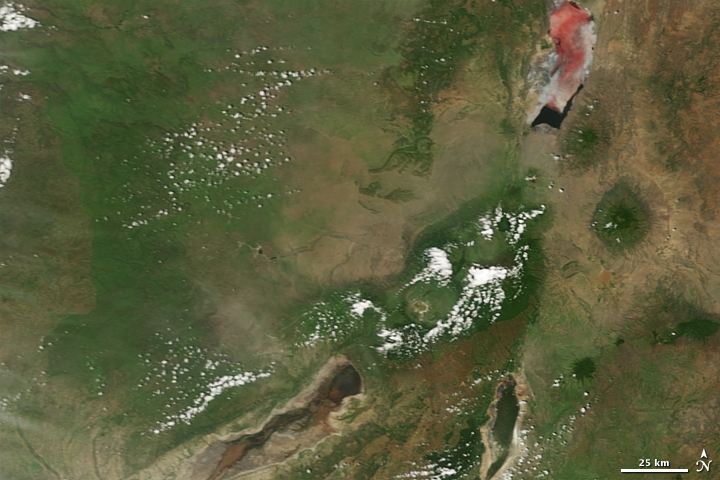 Widespread drought in eastern Africa in 2005-06 has withered the grass and other vegetation across the region, including northern Tanzaniaâ€™s famous Serengeti Plain.